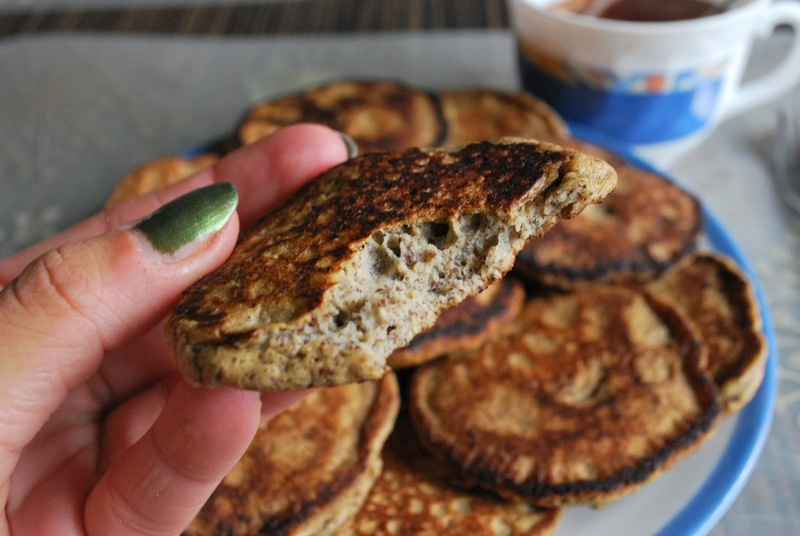 These pancakes are amazing to have as dessert or breakfast. They also contain no protein powder which some people do not like. Also, sometimes protein powder can push you out of ketosis if it makes your protein to fat ratio too high. 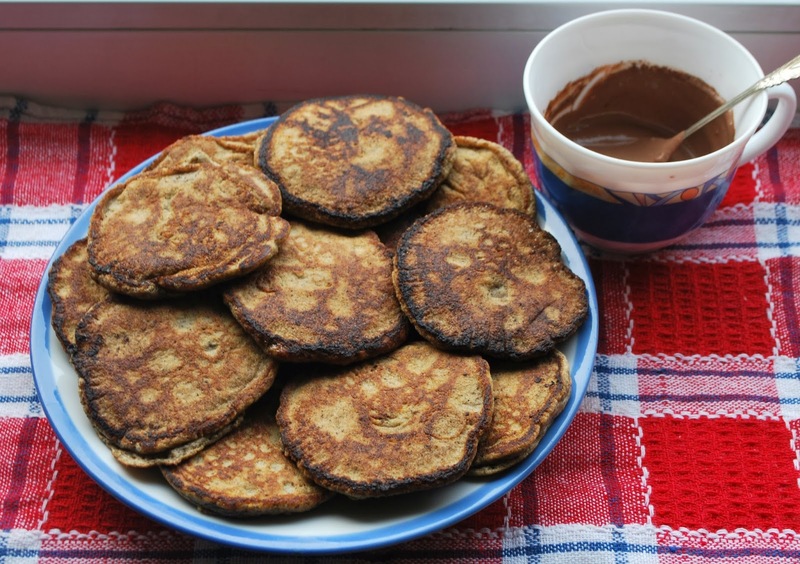 So here is a different version of pancakes that I love to enjoy on Sunday mornings 🙂 Low carb, sugar-free, grain-free, gluten-free and also guilt-free. Preheat your pan to medium high heat. Whisk your eggs until lightly foamy. Now add in sweetener and vanilla, mix well. Add almond and flax seed flour and baking soda, mix really well. Set the batter aside for about 5 minutes at let it thicken since the flours will tie some of the moisture from the egg. If the batter is now too thick, add a splash of water. I didn’t need any since my eggs were on the larger side. You are now ready to fry your pancakes. I used about 25 grams of butter for frying them. From this amount I got 14 little pancakes. They tasted really good! Feel free to add toppings like nut butter, some berries, cottage cheese, quark, sour cream or whipped cream. They are also yummy plain without anything in addition. The whole recipe is 600 kcal, 33 grams of protein, 12 grams of total carbs (including 4 g of fiber so about 8 g of net carbs), 50 grams of fat. If divided into 2 servings, one serving is 300 kcal, 16,5 grams of protein, 6 grams of total carbs (including 2 g of fiber so about 4 g of net carbs), 25 grams of fat.